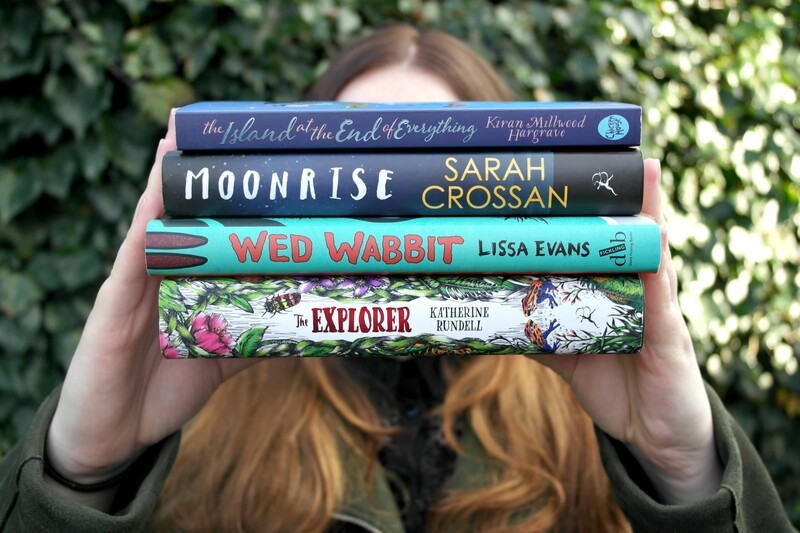 Over the past month or so I’ve very luckily been working with Costa Coffee on their Costa Book Awards* and this is the fourth and final review of the books in the Children’s category. If you want to find out more about the Awards and read the shortlist, check out my post here. I’ve had so much fun delving into a genre I don’t normally gravitate towards so a huge thank you to Costa for making this happen, and make sure to keep an eye out for my next posts where I wrap up the category and I’ll also be sharing the winner next January! 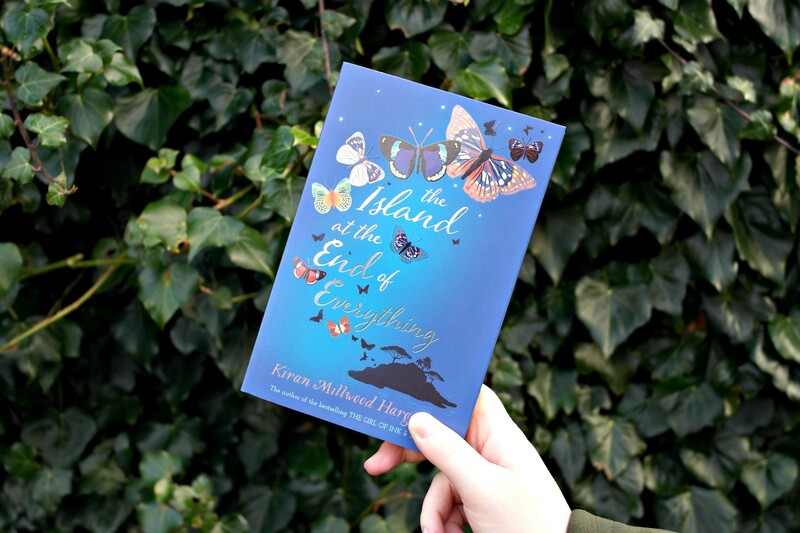 Today’s review is of The Island at the End of Everything by Kiran Millwood Hargrave. Not only it such a visually beautiful book, after reading the blurb my interest was definitely piqued. Written by the same author as the much loved The Girl of Ink and Stars, I had high expectations, but I definitely was not disappointed! Read on for my spoiler free review. There are some places you would not want to go. Even if I told you that we have oceans filled with sea turtles and dolphins, or forests lush with parrots that call through air thick with warmth… Nobody comes here because they want to. The island of no return. Ami lives with her mother on an island where the sea is as blue as the sky. It’s all she knows and loves, but the arrival of malicious government official Mr Zamora changes her world forever: her island is to be made into a colony for lepers. Taken from her mother and banished across the sea, Ami faces an uncertain future in an orphanage. There she meets a honey-eyed girl named for butterflies, and together they discover a secret that will lead her on an adventure home. Ami must go back to the island of no return, but will she make it in time? Despite being intended for a young audience, I believe that The Island at the End of Everything has a universal appeal; I wasn’t dissatisfied with the story or bored at any point. Millwood Hargrave weaves some tough subjects into the story, such as death, disability, illness, prejudice and mental health but I feel that these were handed with such care throughout. The tale also includes in my opinion some very important themes like the idea of not judging a person until you get to know them and the harm in excluding groups of people which really highlights the notion that ignorant thinking should be rejected through the main character’s dismissal of slurs against her mother and friends who suffer from leprosy. The Island at the End of Everything is most definitely a journey story, as we follow Amihan and her new friends across the ocean back to her home after being taken to a new island free from the disease. However, it is not only a story of a physical journey, but one of a mental journey too as we watch Amihan grow and develop into a young adult, through love, loss and friendship. I definitely felt an attachment to our main characters, Amihan and Mari, and wholeheartedly wanted them to succeed. The warmth from both of the character practically poured off the page and while we meet some truly terrible characters such as Mr Zamora, some characters who struggle to do the right thing because of their position like Dr Tomas, The Island at the End of Everything is essentially filled with characters who love no matter the consequence. Through Millwood Hargrave’s exceptional talent for writing that almost felt like poetry encouraging you to read page after page, I could really see the journey the girls embarked on and I can not imagine for a second going through what the pair have and will have to face. Not only did I enjoy the story, I also felt as through I leaned something too through the knowledge we are given around butterflies and the island. While I was somewhat shocked towards the end of the book, I was happy with how it finished and closed the book feeling emotional but satisfied. The Island at the end of Everything is a beautifully written story that will break your heart and patch it up again in a single page, keeping you gripped from beginning to end.